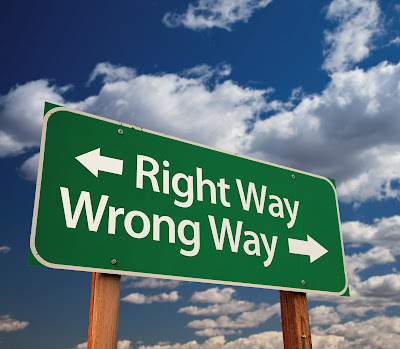 the "wrong way" for doctors and nurses in an emergency room to respond when they are in the act of attempting to save a patient's life and then after resuscitation, started earlier by the paramedics, and was in progress was told by the patient's surrogate to stop at once and let the patient die, not allowing the opportunity to taper off the resuscitation and observe possible recovery. Here is the scenario as written as the Case Study in the September-October 2015 issue ofthe "Hastings Center Report" for which I have received permission to reproduce here. Robert F. is an eighty-five-year-old who suffered a heart attack at home in a rural location some thirty minutes from any major hospital. By the time the paramedics arrived, he was unconscious and nonresponsive. After spontaneous return of circulation, they began their standard procedure of therapeutic hypothermia. Robert's core temperature was lowered using ice packs, and cold intravenous fluids were initiated. Soon afterward, Robert started to shiver when his body temperature reached 35.6° Celsius. He was then given a bolus of vecuronium as a neuromuscular blockade, sedated, and intubated. He was also given a low-dose vasopressin for blood-pressure control. Shortly after Robert arrived in the emergency room, his daughter, his medical decision-maker, produced an advance directive documenting that her father has a do-not-resuscitate (DNR) order, and she demanded that the breathing tube and any other life-sustaining treatments be withdrawn immediately. The medical staff is very reluctant to comply with this demand for immediate action. Until the neuromuscular blockade wears off, removing the ventilator will prevent Robert from breathing. Furthermore, it may take some time to reverse the therapeutic hypothermia procedure to the point that the patient is at normal temperature. In addition, therapeutic hypothermia itself often causes arrest, so the patient may need to be resuscitated again. Should the staff wait until the patient is warm or honor the decision of his daughter, who holds his medical power of attorney? To stop all resuscitation at once will cause the patient to die while being professionally treated and the patient's status for surviving without injury would remain unestablished. This obviously was a moral "no no" by the doctors and nurses since this act at this time might represent to them as unprofessional "killing" of the patient. On the other hand, to not follow the request of the patient through an advance directive for medical care and the demand of the surrogate daughter, would mean that the doctors and nurses were ignoring the legal and ethical autonomy of the patient. So tell me, which is the "right way" and which is the "wrong way" for those medical professionals to act. ...Maurice.